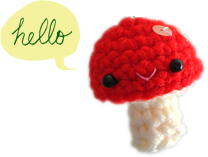 For the first time Mike and I are collaborating on a design project! 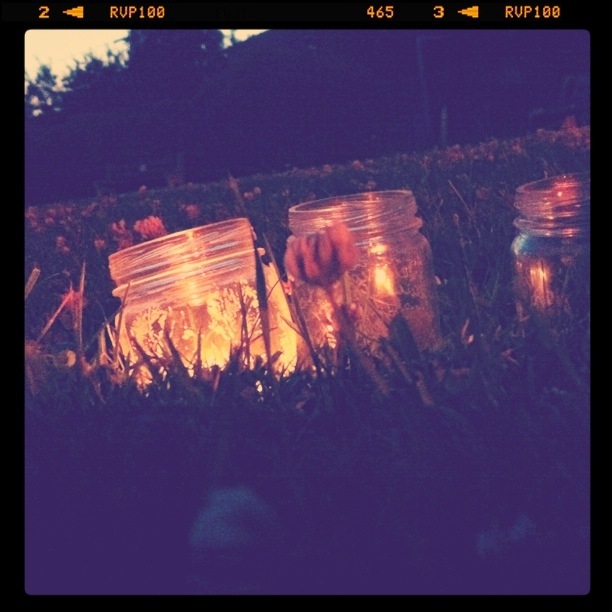 :D And for this project we need some photos of jars with lights in them on the grass. 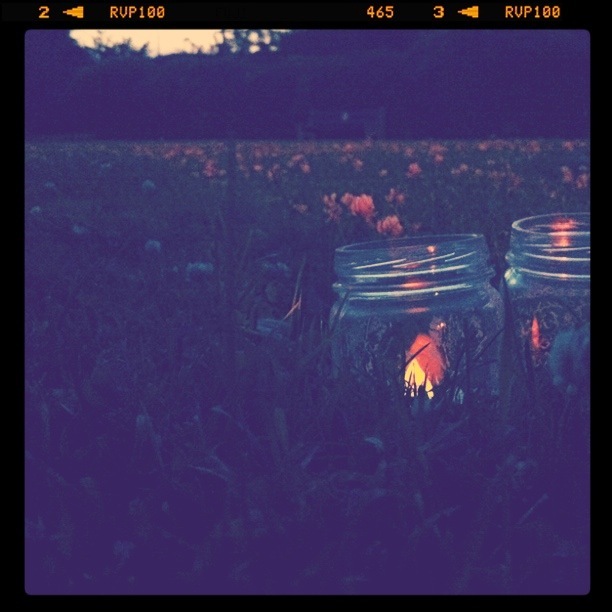 So last night we waited till the sun went down and headed out with some jars and candles. 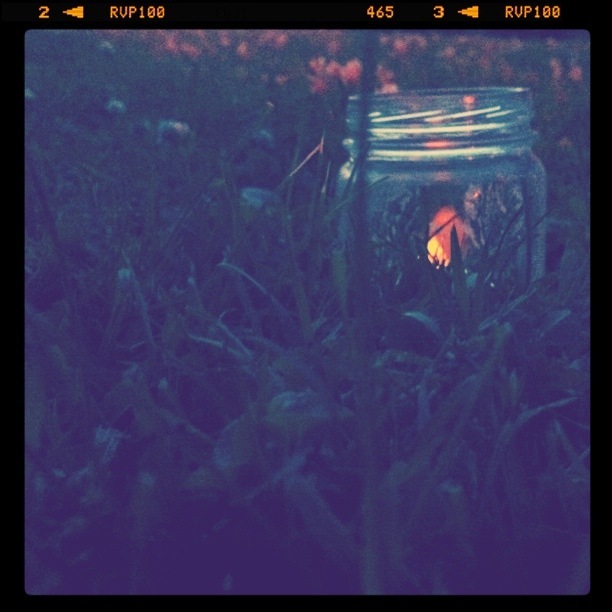 As I was sitting on the grass, trying to hold my hands still to photograph the jars I was promptly reminded by the mosquitoes that they come out in the evening, especially in grassy areas. And these were GIANT mosquitoes! I will spare you the gory details of me swatting them while they were in the middle of sucking my blood. The one above and this one below were taken with a battery‐operated tea light. This jar here had a real tea light in it. I particularly like the small white flowers around the jars and in the background. And yes, they are baby food jars. I got tons and tons from a friend years ago for a school project. They were also painted with white and transparent glass paint. - Tiger balm works wonders on mosquito bites. - iphone takes surprisingly good low light pictures. Better than my point & shoot. Plus all the other fancy functions and apps that iphones have. Hmmm.